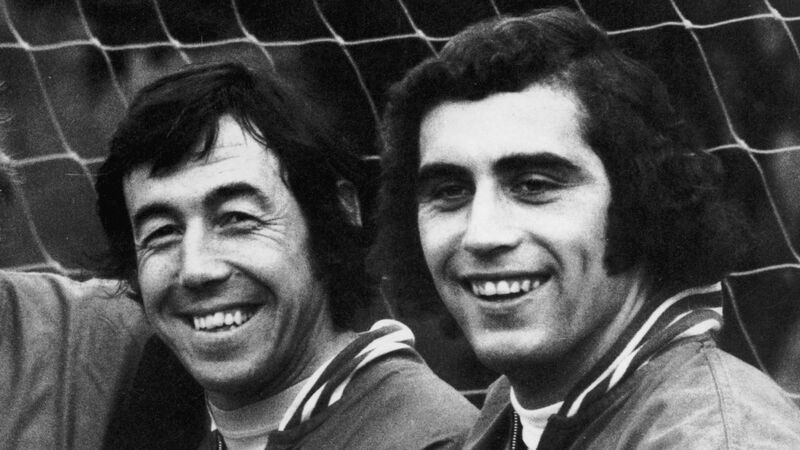 Peter Shilton described former England team-mate Gordon Banks as "a gentleman" and one of his heroes after the World Cup-winning goalkeeper died aged 81. Banks, whose death was confirmed on Tuesday, won 73 caps for his country and was ever-present as Alf Ramsey's men won international football's biggest prize on home soil in 1966. England's most-capped player Shilton was at Leicester City with Banks when he won the World Cup in 1966 and would go on to succeed him for both club and country. Shilton said Banks was a player he idolised growing up and one who later became a mentor and a friend. "Gordon was my hero when I was a youngster watching Leicester City on the terraces," Shilton told Sky Sports News. "I eventually joined the club and quickly became his understudy at 16. "He was always helpful, always a gentleman. In that era he was just a great goalkeeper. "When you work with Gordon, it's bound to rub off on you a little bit. I always admired his positional play in that era. It was a different era for goalkeepers, different rules. It was still the same job – keep the ball out of the net – and he was the best around at the time. "I got to know him very well and he was just a really nice fella as well. We had a friendship and it's just such tragic news that he's gone." Banks won the last of his international caps in 1972, at which point Shilton and Ray Clemence were vying to be the country's first-choice keeper. "He was a mentor to me," Clemence told BBC Radio 5 live. "As far as I'm concerned, he was the greatest goalkeeper England have ever had. He made the job look ridiculously easy and anybody who's played in that position knows that it isn't. "He worked extremely hard in training to make the game look easy for him. [He was] a gentleman, everything about him. He had time for everybody all the time. He was just a special man." Banks' most memorable save came in the 1970 World Cup when he flung himself across goal and somehow tipped a header from Brazil great Pele over the crossbar. At the time, both Banks and Pele conceded they had no idea how the keeper had made the save. "The work that he put in on the training ground allowed him to make that save," Clemence added. "Probably the best thing you could say to kids about Gordon was that he made the job look very easy but the work he put on the training ground allowed him to make it look easy."